Who is the Dr. Mariano Barragán? Born in Mexico City, Dr. Mariano Barragán obtained an M.D. Bachelor’s Degree from Mexico’s National Autonomous University (UNAM) in 1967. As a response to his personal interest to contributing in a better social environment, Dr. Barragán joins the Eastern Pennsylvania Institute for a residency in Psychiatry and then specialized in child Psychiatry at the University of Pennsylvania. Dr. Barragán holds a certification in Psychiatry by the American Board of Psychiatry and Neurology in 1976, as well as a certification in Children and Teenager’s Psychiatry by the same institution in 1978. In 1984, he founds and manages the Mexican Institute for Couples Tharapy (AMETEP according to its Spanish abbreviation) where he teaches Masters and Doctorate classes and supervisions in Psychotherapy. 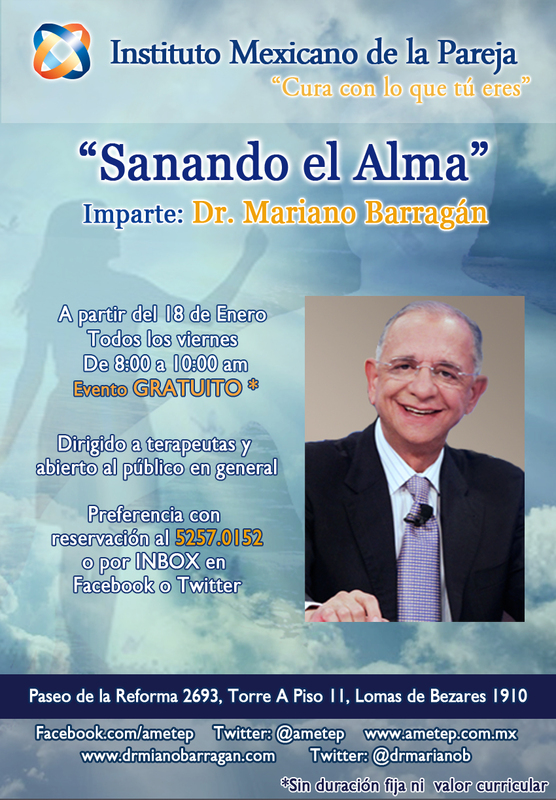 Due to his experience in therapy, Dr. Barragán realizes that a fundamental factor for his patients´ wellbeing is their physical decay. Thus, he specializes in Age Managament Medicine at the Cenegenics Education and Research Foundation and Foundation for Care Managament in 2006, achieving a certification by the American Board of Antiage and Regenerative Medicine in 2011. Dr. Barragán founds and manages the Neovitality Clinic, where he successfully practices the Age Managament Medicine. His patients get excellent results in improving their physical condition which leads to a happy and fulfilling life in spite of their chronological age. Es un hecho que la vida matrimonial es más que la suma de dos miembros que deciden casarse, dándose una dinámica diádica multifactorial; sin embargo el objetivo de este artículo es analizar los factores que favorecen u obstaculizan la satisfacción marital de la mujer.